We all wish to improve all aspects of our lives and become a better person. Be it in our workplace, our relationship with our friends and family and even, our own personal life, we are constantly trying to enhance everything associated to us. It is of equal importance to try and be a better romantic partner. It is often seen that people tend to blame their partners for the ups and downs during their relationship instead of taking a look at their own behavior. Mentioned down below are the best 11 ways for improving relationships that you can utilize in order to steer your relationship towards happiness. All experts say one thing that healthy relationships are created through effective communication where each of the partners are able to voice their thoughts, opinions, and concerns. Doing so can largely help eliminate any chance of misunderstandings, arguments, and conflicts. 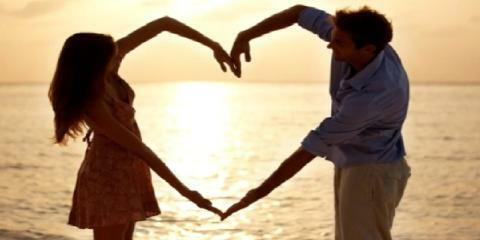 Make sure that you are honest to your partner about everything and anything, no matter how trivial the matter is. Just being physically present is never enough when your significant other is trying to talk to you about something important and serious. You need to be there alert with your entire attention directed towards your partner to better understand their words. It may even help if you put up positive body language such as nodding along, maintaining eye contact and contributing to the conversation. Trust is of utmost importance in all kinds of relationships. However, this trust requires ample time and effort to be built and only seconds to crash down into nothing. It is of great significance that you maintain the trust that you develop and continue strengthening it. This can be done easily by simply sticking to your word and completing any promises that you make. Relationships are all about love and having someone that you can always count on. You need to support your partner through all kinds of barriers and help them work their way around them instead of abandoning them midway and leaving them to fight alone. During an argument or disagreements, instead of getting defensive, be empathetic and try to put yourself into your partner’s shoes and try to understand where their thoughts and words are coming for. This is a good way to see matters from your partner’s point of view and reach a conclusion that would please both of you. Listen to act, not react. It is that simple. All you need to do during a fight is try to hear out your partner before attacking them with hurtful words and what you believe is correct. Doing so will do nothing but damage instead of improving the relationship. We all have bad days, but it is not fair to get rid of your frustration on someone else. It is important that you keep a tone of your voice and attitude when you talk to your partner and instead of making them feel unwanted, make them feel loved. Being a good listener is the way to any happy relationship. This way both you and your partner feel heard. Moreover, make sure that you do not interrupt your partner halfway through their sentence or suddenly change the subject. Show gratitude to your partner each day. Let them know how much you value everything they do for you even something as small as cooking you a hearty meal after a long, strenuous day. We all enjoy being appreciated and it urges to do even better. Being in a romantic relationship, you need to be able to read your partner and know what could possibly irk them. Realize what could lead to an argument and avoid it before it even comes out as a problem. Telling your partner that you love them is one of the simplest ways for you to remind them that you like them, enjoy their company, support them and will always be by their side. Hearing these three words would make your partner feel affirmed and desired.